Barnes Bay Chapel, built in 1967 as a replacement for St Peters Church. (This church was deconsecrated and sold to our association in 2014). 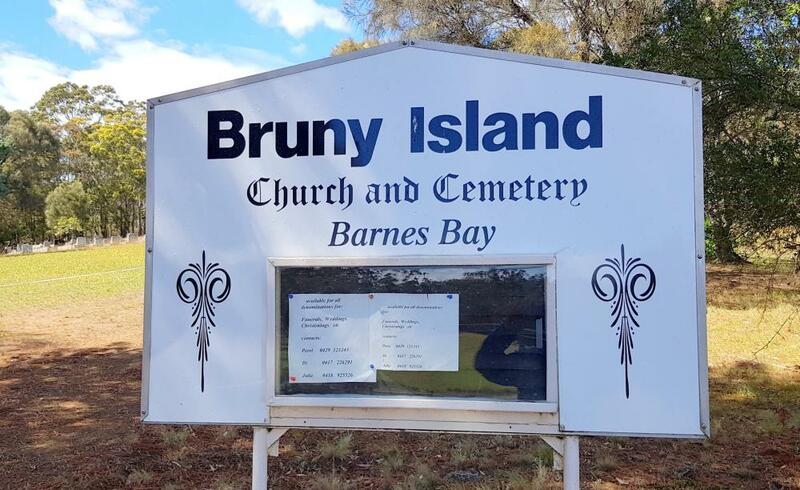 Sign at the front gate of the Cemetery. 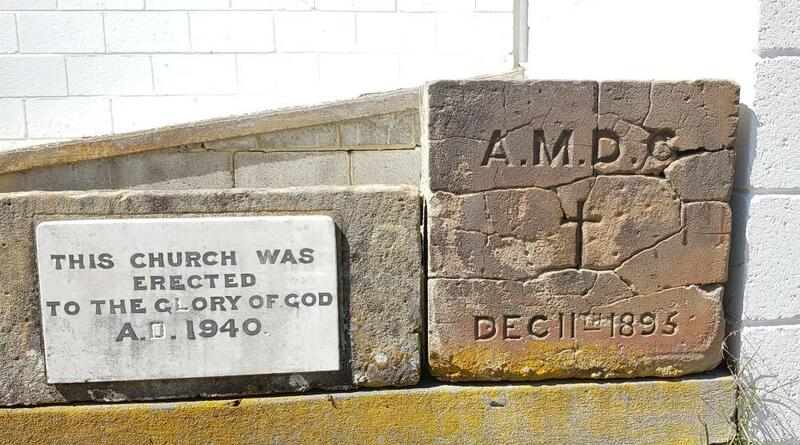 Foundation Stones: St Marks, Dennes Point and St Peters, Barnes Bay. Above:Some of the graves in the cemetery. There is also a Columbarium (see photo under Funerals).